Mine's Raven, no question. She's like Daria as a superhero, with an awesome backstory. my favorite would have to be starfire cuz she has a cute personallity!!! I think my order goes... Raven, Robin, Beast Boy, Starfire, Cyborg. I do love them all though! Even though Cyborg's last, I still find him hilarious! Hehehe I'm a teen titans big fan! Oh ya! Also for beast boy! He's sooo...cute! i like starfire and raven. My fav. is Raven of course! my order, Beastboy, Raven, Starfire, Robin, Cyborg. Definately Beast Boy!!! He's hilarious and adorable. If anyone else likes BB, I have made a spot on Fanpop for him! 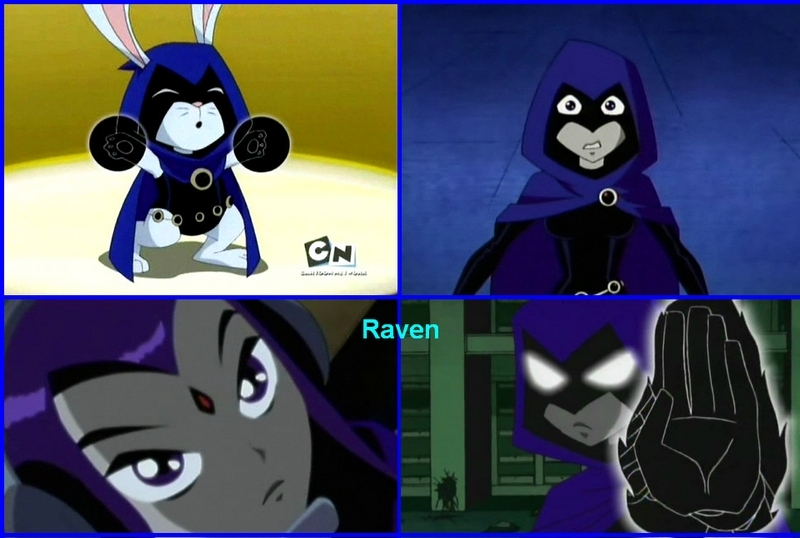 RAVEN- AZARATH METREAON XINLOS!!! THEN, ROBIN... HE'S HANDSOME!! !THEN,BEAST BOY-I LOVE HIS POWER!! !NEXT, IS CYBORG...HE'S HILARIOUS!!! LAST, IS STARFIRE: SHE HAS A NICE ATTITUDE BUT SHE GETS ANNOYING!!! I love Raven and her mother Arella. I just don't know why in alot of the episodes she's like not really in them. She does't talk alot in them unless the episodes are about her. Does anyone else notice that? And for a dark person, she can be really sweet. I also hope that Teen Titans doesn't go off air again. That would stink. ROBIN ROBIN ROBIN ROBIN ROBIN ROBIN ROBIN ROBIN ROBIN ROBIN ROBIN ROBIN ROBIN ROBIN ROBIN ROBIN ROBIN ROBIN ROBIN ROBIN ROBIN ROBIN ROBIN ROBIN ROBIN ROBIN ROBIN ROBIN ROBIN ROBIN ROBIN ROBIN ROBIN ROBIN ROBIN ROBIN ROBIN ROBIN ROBIN ROBIN ROBIN ROBIN ROBIN ROBIN ROBIN ROBIN ROBIN ROBIN ROBIN i love uuuuuuuuuuuuu! BEAST BOY!!!! Then Cy, Star, Rae, and.... Robin (there really is no abbreviation for him). beast boy duh he rocks and who wouldn't love to be a shape shifter? I like Robin and Kid Flash. They are both so adorable(hot in the comics!)! BB's cute too(also hot in the comics)! But overall my fave is definetly a tie between Robin and Kid Flash. Then BB and raven are a tie. Starfire and then cyborg. starfire talks like spock. its funny. who do you think is my favorite..? yeeeaaah. Starfire! I love her cute and bubbly personality!